I here pursue my favorite subject—Nature in all her forms. 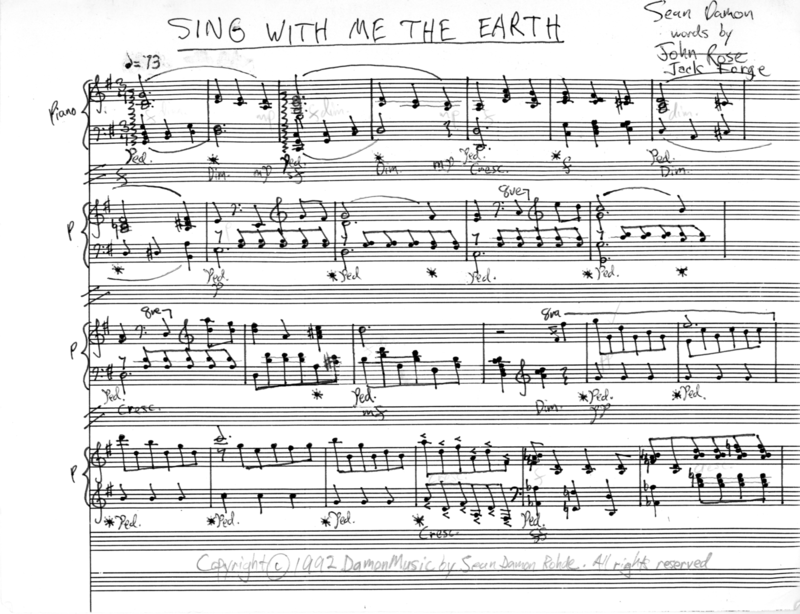 This composition for full choir and piano, SING WITH ME THE EARTH, is my setting of the first three lines from my father's poem of the same title. In this piece I imagine myself represented by the piano entering Nature's realm. As I wander the forest green, I hear the blessed sounds of the Wild calling to me. As the music unfolds with sopranos, altos, tenors, and basses layering upon each other in fugal fashion, the piano gradually builds in rapturous excitement until it finally runs free in bucolic bliss. A little rondo for piccolo. 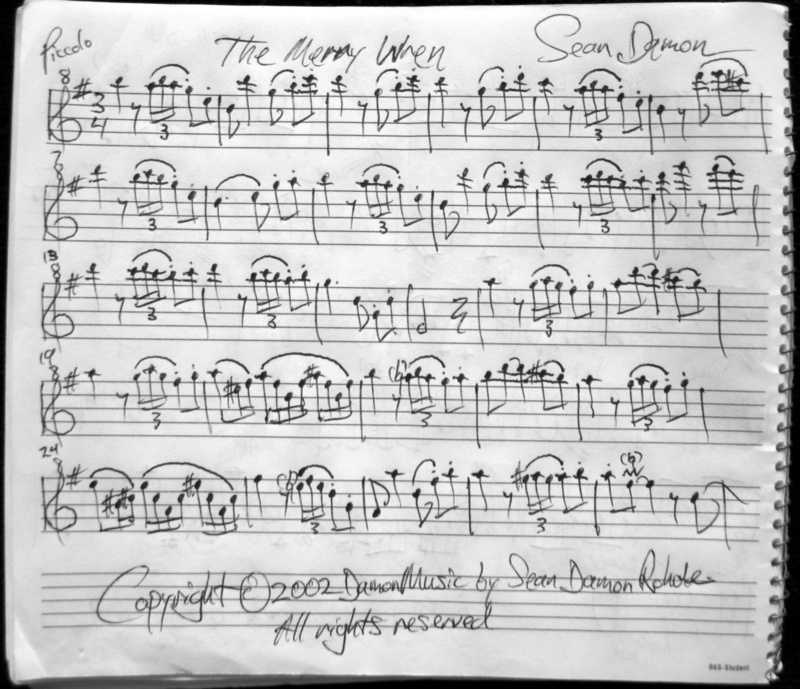 Listen as the wondrous songster is answered by a roaming minstrel who emerges from the deep green, piping praise to an enchanted wood.